HOMESTEAD, Fla. – Martin Truex Jr. capped the most successful season of his journeyman career as NASCAR’s champion. Truex’s victory also denied Ford its third win of the weekend. Ford drivers won the Truck Series race and the Xfinity Series race. The manufacturer has not won a Cup title since 2004. 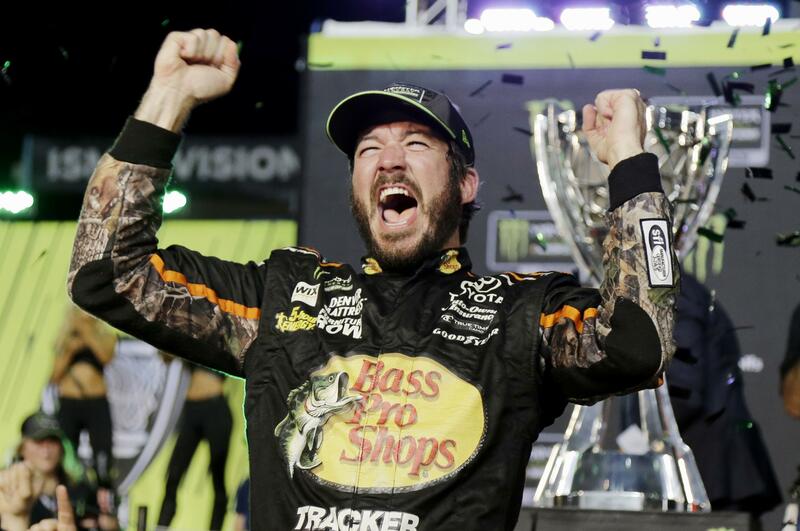 Truex led nearly every statistical category this year, including wins, laps led and stage victories. Heading into Homestead, six of Truex’s wins came on 1 1/2-mile tracks, the same layout as Homestead. Now seven of his career-best eight wins are on those sized tracks. “I mean, yeah, they’ve had the fastest car all year, so it was good to see him win,” said Harvick. Earnhardt’s final ride slightly overshadowed the championship race, but he tried to put the focus back on good friend Truex after the race. He drove up alongside Truex, hit his car in celebration and talked after the race about his happiness for Truex. Truex won two Xfinity Series championships driving for Earnhardt early in his career. Even with that early success when driving for Earnhardt’s second-tier team, Truex’s career never took off. He had a ride with Dale Earnhardt Inc., which closed, then he was folded into the Ganassi lineup. He finally found some success after signing with Michael Waltrip Racing, but he got snared in an MWR cheating scandal in 2013 that ultimately cost Truex his job and led to the eventual shutdown of the organization. Truex reflected on that time earlier this week, when acknowledges he wasn’t sure he’d ever get another job before Visser offered him the No. 78. “There was a night where I sat on the porch and thought there was a chance I may never race in the Cup Series again, at least competitively,” Truex recalled. “It was late in the season, found out I wasn’t going to have a sponsor, obviously, for the next year. I didn’t know of any rides available. I didn’t know anything. Published: Nov. 19, 2017, 6:35 p.m.